N3V Games dropped Dead on Arrival 2 in the Play Store last week, but they made the game exclusively available in their native Australia and neighbor New Zealand. They announced that they would roll the game out globally on September 23rd, and while it may now be two days later, we can't blame them for giving their peeps a few extra days of exclusive playtime. Still, that time's up, so everyone else can now pick up their trusty firearm of choice. There are undead on the loose, and slaying them is going to be fun. You really don't need to read this post to know what this game is about. Sure, it's a sequel to the well-made original. Yes, it's even prettier than before (it requires at least Tegra 2 or an equivalent to run). 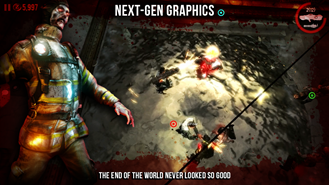 This is still a zombie game. You're going to shoot undead mutants using guns. 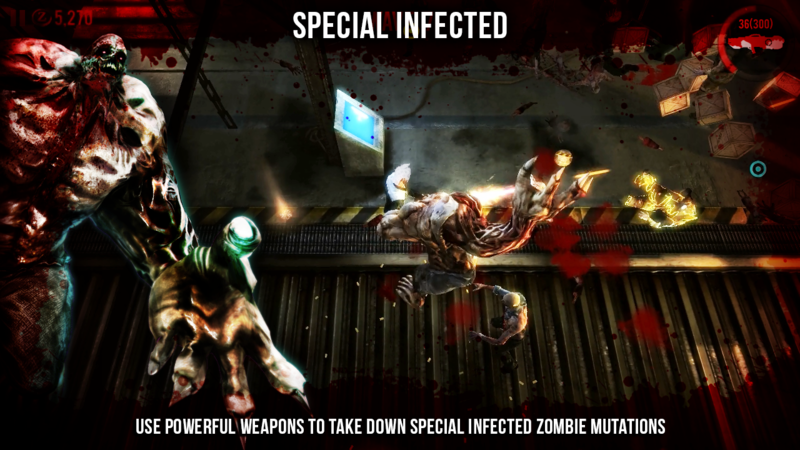 Eventually you will shoot even larger mutants with even larger guns. If this concept is confusing, you've clearly never played a video game or seen a horror movie before. Movies and games don't always follow the same path, but in this case, the formula is largely the same. 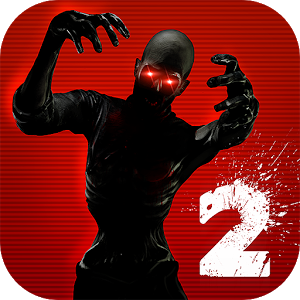 All that aside, Dead on Arrival 2 is still a higher-quality title than most of zombie-related time killers that flood the Play Store. 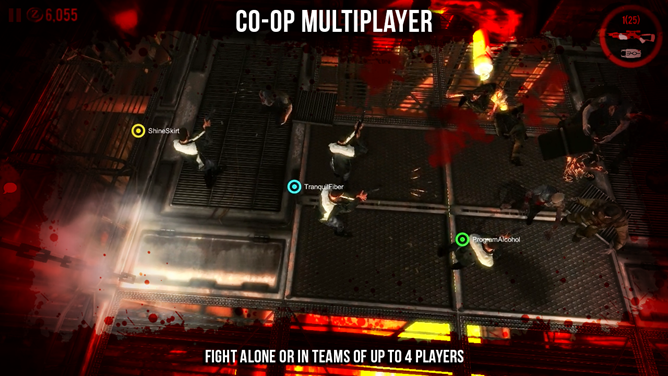 The most obvious reason to pick up this sequel, besides having an addiction to the first game, is the addition of co-op multiplayer. Gamers can team up with up to three allies and put down zombies together. This adds a little variation to the narrated twin-stick, top-down shooting action you can expect in the single-player campaign. The game is also very gamepad friendly, so if you're sick of having your face eaten because the touchscreen threw off your aim, this is the title to get. After all, if you choose to avoid paying for Dead on Arrival 2's "ZBucks", it's completely free to play.